410 people want to do this. 271 people have done this. 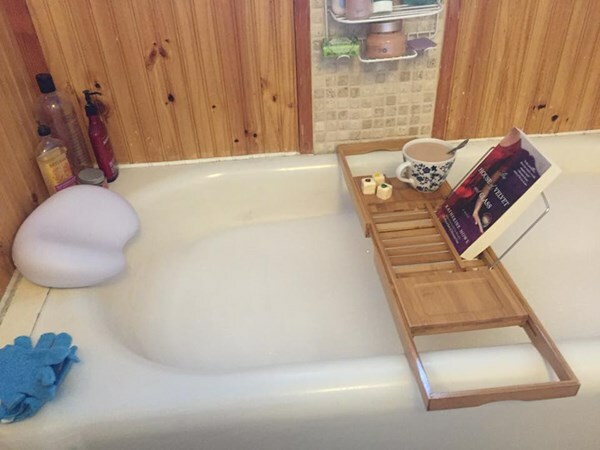 For Christmas this year I got a lovely bath pillow and bathtub caddy, which I was eager to try out. Filled the tub with lavender chamomile bubbles, added a cup of dessert tea and some petit fours, soft piano music, and a relaxing light book. SO relaxing after working 6 days a week all month. 8/30 at regency north. lush for bubble soap. Best bubble bath ever. Champagne included! Excellent. Will do more often now that I have bubblebath. Found out I actually prefer bathes with salts instead of bubbles though. Bubbles get in the way of being able to read a book!